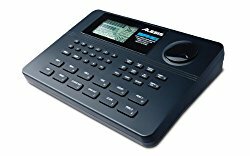 I’ve used the Alesis SamplePad Pro for about 4 months, including live gigging. This review sums up my many opinions about the model and whether you should buy it or not. Alesis entered the market as one of the first serious contenders to the major Roland and Yamaha sample pads. While doing so, they have finally offered a sample pad that’s affordable to a much wider base of musicians. The overall result is a drum pad with some great features, but with a few annoying quirks. These quirks can range from unnoticeable to quite hindering, depending on how you’re planning to use the sample pad. Keep in mind, I have a lot of experience in using high-end sample pads. This is my personal opinion when comparing the SamplePad Pro against the best. 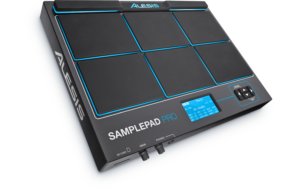 The Alesis SamplePad Pro contains eight drum pads. This includes six pads on the main face of the device, and two on each of the top corners. These are sensitivity to velocity, so they can detect some subtleties in your playing. 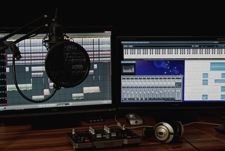 This sample pad contains many different in-built drum kits and sounds. 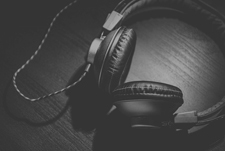 These range from acoustic sounds, electronic hits, world music to musical synth pads. Very importantly, it also allows for custom sampling via an SD card, which is a very big plus. You can extend this device and turn it into a mini drum kit, including a kick, hi-hat controller, and two additional pads. This leaves you with a great number of possibilities. In fact, I recorded live hits from one of my acoustic drum sets and loaded samples of that onto this device. It worked fairly nicely, though I wasn’t amazed when using an external hi-hat controller. Lastly, this pad looks great. The individual pads light up when hit. To be honest, I totally expected it to look tacky, but the effect is a nice one! What can the SamplePad be used for? 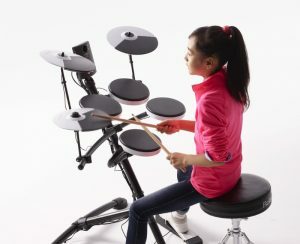 A mini-drum kit by extending with additional pads. The features of this device in some ways even outnumber that of Roland’s devices, if taken individually (e.g. The Roland Octapad doesn’t allow for custom sampling, the Roland SPD-SX has limited extensibility). So this can serve as a great first step into using sample pads. I’ve talked a lot about the wide features of the device. Let’s get into the issues! Cross-talk: This was one of my biggest concerns with using the SamplePad Pro. A well-known issue with this model is that hitting one pad may trigger another. In my case, hitting the top left shoulder pad would trigger another pad on the device. Alesis did release a firmware update to tackle this issue. To be fair to Alesis, this does reduce the issue. However, from using it, it feels like that the firmware update just automatically reduced the sensitivity of the problematic pads. When I manually increased the sensitivity again, the cross-talk issues still persisted for me. Is cross-talk really an issue with this device? The answer is that it depends. You may have to avoid using the particular problematic pads if you’re looking for a lot of sensitivity in your playing. Otherwise, it will likely be fine. Sensitivity: As a drummer, I do not think the SamplePad Pro measures up enough in terms of detecting subtlety, in comparison to the high-end Roland and Yamaha models. For example, if you play fast double-stroke rolls or rudiments with ghost notes, it just feels a little clunky to play. Is that an issue? If you’re using this for more basic playing and drum beats, you should be fine. If you’re expecting this to respond like a snare drum for very fast playing (or an electronic mesh pad) then you might be let down. Loading Time: Switching between kits on the device can take some time (particularly for bigger external samples). For live performances, this can be a bit of a hindrance. However, with enough planning, you can get away with it. 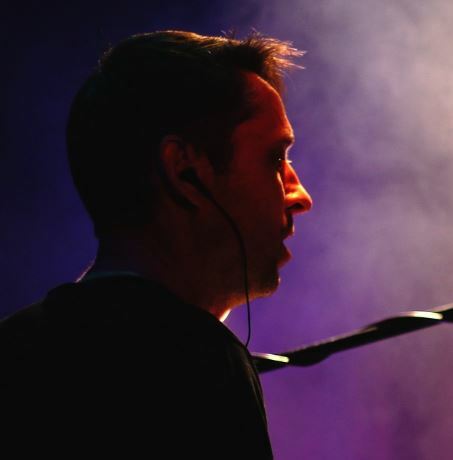 What is it like to play live? I’ve used this for live gigging. To be honest, it wasn’t bad. At times, I didn’t think the sensitivity was amazing but it’s a nice cheap option to use along-side a drum set or for a producer’s live performance. For long-term playing, I’m not totally sure about the build quality. It’s relatively sturdy, but if you’re very heavily gigging then you might need a higher-end drum pad. 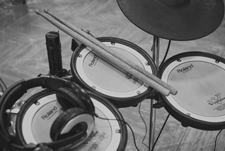 For more information about those, check out my popular article on the best electronic drum pads. 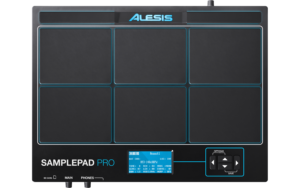 Conclusion – Is the Alesis SamplePad Pro worth it? 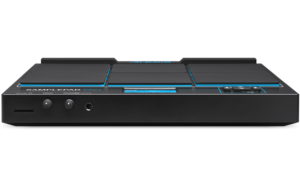 The Alesis SamplePad Pro is an instrument with big features at an extremely reasonable price. 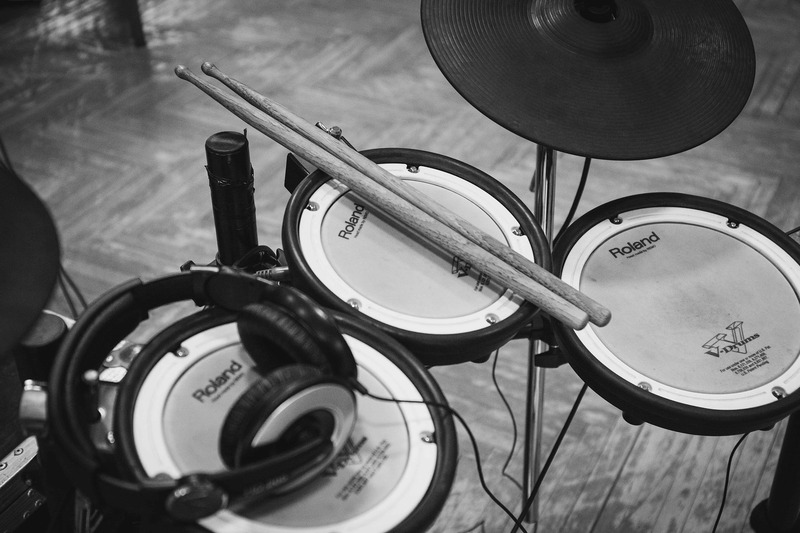 It can serve as a great entry into electronic drum pads. The high-end sample pads by Roland and Yamaha are quite expensive and therefore out of the price range for many people. I believe the SamplePad Pro is one of the only real alternatives in that market that have come anywhere close to these models. However, keep in mind the quirks of this device before buying. In most cases, you can get used to them if you give it a bit of time. The device has MIDI, extensibility, and custom sampling. If you get your hands on this, there is a whole lot to play with. 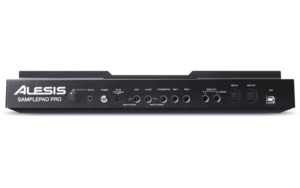 If you have any questions on the Alesis SamplePad Pro, then please write a comment below. I promise to answer all comments! Hey! By ‘Alesis SamplePad’, I assume you’re referring to the old legacy 4 pad samplepad. Personally, I would go with the SamplePad Pro for the following reasons: it has more pads and would allow you to play more sounds on the fly. It is newer technology, and the old samplepad had some anti crosstalk issues reported (if hitting two pads at the same time, it might stop one of them from being triggered). However, both models do allow you to load your own samples via an SD card, however I believe the old model only allowed mono samples, whereas the SamplePad Pro also allows stereo samples. If you have a very low budget, you could try out the original samplepad to see if it works for your needs, however I think it’s not a great option for live performances. Hope this helps! Thanks for sharing your thoughts Dave! I am looking to by this for a gift for my husband. He is a guitar/bass player and has recently started writing his own music using GarageBand. He has shown interest in wanting to move beyond the basic drum tracks in GarageBand and learn to play a little drums on his own, but he doesn’t have the space for a full drum kit. So, would the Sample Pad Pro suit his needs and interface well with GarageBand? Hi, yes, the SamplePad Pro is a decent option if he’s limited on space. However, if he wants to really learn drums then I’d recommend getting pedals as well, as otherwise he will only be able to play with his hands. These would effectively turn it into a mini electronic drum set (you just hook them cables from the pedals into the back of the SamplePad), so it will be the best of both worlds. I’ve used the SamplePad in this way myself and it’s pretty decent. I know these add a bit of extra expense, but if your budget is really limited then the SamplePad Pro by itself will still be a good starting point. After that, he could get a kick pedal later as then next most important thing, and then a hi-hat pedal after that. 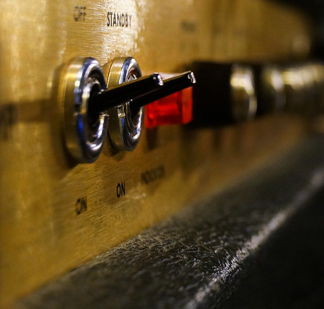 For sure, it will be able to communicate to Garageband via MIDI connectivity. 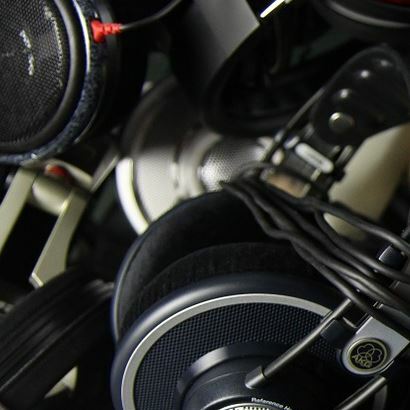 There are two options at the back, using either a USB printer type cable (this one for example: https://amzn.to/2PH7ElF) or using a 5-pin MIDI cable. He might already have one of these options. There are also other options for recording the audio out of the device, so you can point him towards https://www.electronicdrumadvisor.com/record-electronic-drums/ for more information if he’s not sure. I’m sure he can look into that later himself! Hope this helps and good luck with your gift shopping!